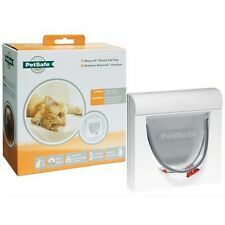 PetSafe, Exclusive Entry, Microchip Cat Flap, PPA19-16687 - REF 1. Dispatched with Royal Mail 2nd Class. We just tried few times with our cat but he doesn’t like! 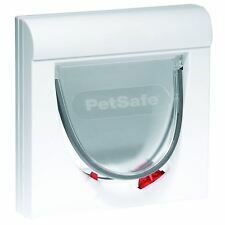 Door or wall too deep for your pet door?. Add a single or multiple extensions for your pet's ease! 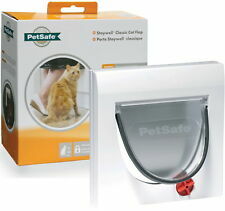 Not compatible with the 900 Series Staywell® Classic Magnetic 4-Way Locking Cat Flap. Wicklow - Staywell® Tunnel Extension. 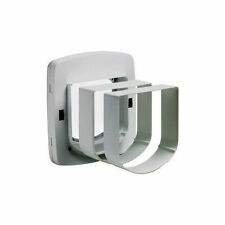 This unit is Wall-Mount and Door-Mount compatible. 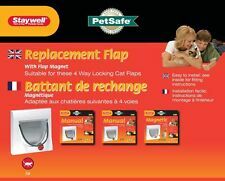 The Microchip Petporte Smart Flap® is designed to read the most common type of microchip - FDX-B (15 digit). Condition is Used. 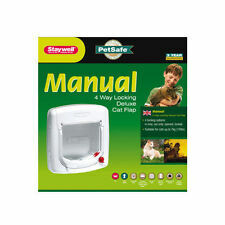 For cats up to 7 kg Transparent flap. Wicklow - Staywell® Tunnel Extension - White. Door or wall too deep for your pet door?. Use an extension for your pet's ease! 2 way security lock. Compatible with the Original 2 Way Pet Door (700 Series). This tunnel extension is easily installed for use with thick doors and walls and provides 47mm extra tunnel length. 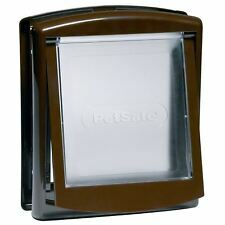 PET SAFE Cat door flap size 236mmx198mm.& tunnel extn. never used due to moving.